Excuse the photo quality. My desktop computer died and my photo editing program was on it. The pattern was in an old issue of Fons and Porter’s Love of Quilting magazine. 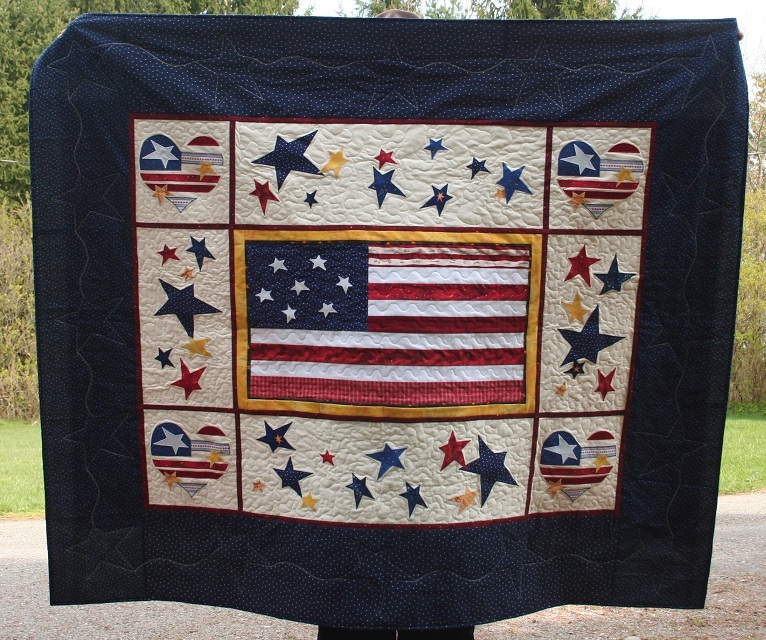 I enlarged sections so it would meet the size requirements for a Quilt of Valor. I thoroughly enjoyed each and every minute I spent making this quilt. It’s the first project I made on my new sewing machine, and it seemed appropriate that it will go out in the world and spread a little happiness. Can you believe how close that deer came to the house? That dark wood at the bottom of the picture is a living room window frame. That deer was practically inside with my husband and myself. 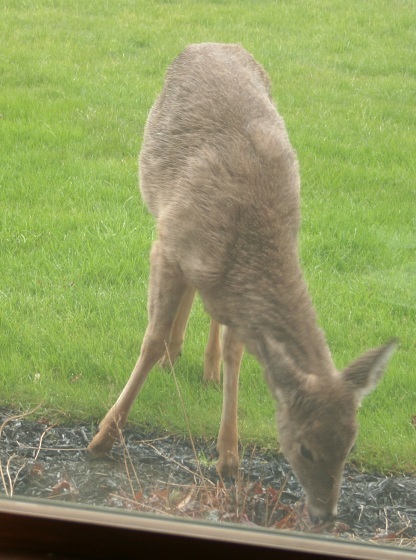 Mind you, I have been very careful to plant deer resistant plants in our landscaping, and yet with all the green grass, all the leafing trees, and a mild winter, that deer decided to chow down on my deer resistant perennials. It’s no wonder that front floral bed is having such a difficult time thriving. It’s a buffet table for the area deer. It’s been a long time since I’ve posted to my blog. We were on vacation with very limited internet, then got hit with a lot of medical emergencies when we got home, but we are now happily recovering and enjoying each and every day. Is that not a hoot? The little kids love seeing him, and to be honest, so do I. I guess the little kid in me is not buried very deeply. 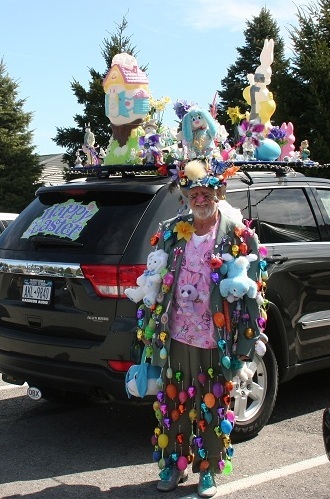 All it takes is one look at this man, and she resurfaces to join in with all the fun. I hope all you have a blessed and happy Easter with your family and friends.